MOSCOW, October 11. /TASS/. Russia’s Soglasie Insurance company has started consideration of the circumstances of the failed Soyuz-FG carrier rocket launch, the company said on Thursday. 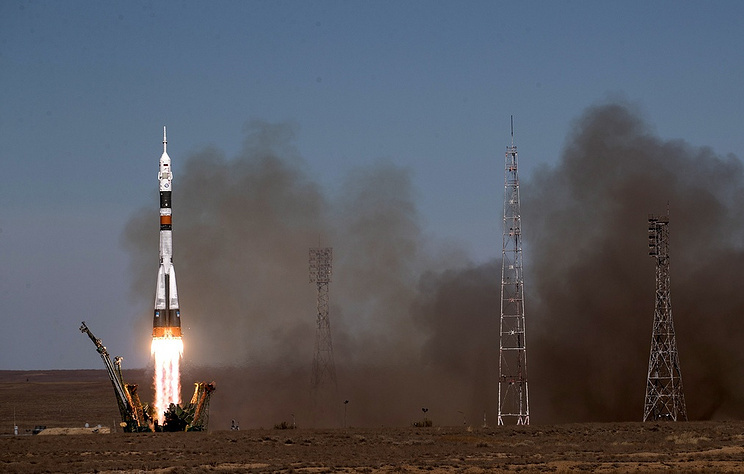 The insured property are the Soyuz-FG carrier rocket and the manned Soyuz MS-10 spacecraft, the liability limit is 4.66 bln rubles ($70.2 mln), the insurer said. "If the incient is acknowledged as an insured event, it will become the first covered loss in the contemporary history of Russia’s insurance involving a manned spacecraft. The payment will probably be one of the biggest over the past decades. The risks to the contract have been reinsured in top-rated Russian and western insurance and reinsurance companies. We have started the consideration of the circumstances of the incident," the company’s press service quoted Maya Tikhonova, CEO of Soglasie Insurance Company, as saying. Earlier reports said that the Soyuz-FG carrier rocket failure had occurred during the launch from the Baikonur Cosmodrome. The Soyuz booster aborted after its launch, after which the crew switched to the mode of a ballistic descent. The manned Soyuz MS-10 spacecraft landed in the Kazakh steppe. This is the first failure of boosters of this type over the past 35 years.